Madrid, Spain rvfspain@gmail.com M-F, 9a.m. - 7p.m. We are a small business based out of Madrid that connects English speakers with teaching positions in Spain, and then helps them get there! There are countless reasons why someone would want to come to Spain to teach ESL rather than another part of the world and many of the reasons are self explanatory (check out our other post on this topic). Who wouldn’t want to live in such a beautiful and culturally rich country as Spain? In this post we are going to look at some of the other less obvious, but still incredibly beneficial, reasons why you should come to Spain to teach English. That’s right! Even though school will be in session five-days a week, you will only be required to teach and be in the classroom four out of those five days. You won’t know till you arrive the first day of class on October 1st (the Spanish school year goes from September to June but you’ll start a month after they do), but you will either have every Monday or Friday off. That means, you’ll have a three-day weekend every week that you can dedicate to exploring your city or town, traveling all throughout Spain, going to the beach or taking a long-weekend trip to Germany or France. The four-day workweek is great because it is the perfect balance between working hard and building up your experience and resume as an ESL teacher, all the while taking advantage of the beautiful and unique country you’ll find yourself in. Maybe you’ve never taught ESL before but are looking for an opportunity to begin building your resume and experience. If that’s you, or even if you already have extensive ESL experience inside or outside of the classroom, this is the perfect position for you. There is no requirement of previous experience and is open to anyone under the age of 60 that is a native English speaker. If you’re looking for your “big break” into the ESL world, or have your TEFL certificate and would like to put some miles on it, then teaching English in Spain is the perfect fit for you. In comparison to the average Spanish salary, what you will be making as an ESL teacher is amazing! And the best part is you won’t be paying taxes on anything! As an ESL, or auxilar, in the Spanish public school system, you will be making anywhere between 750€ to 1,000€ depending on where you live. For example, if you live in Madrid, the largest and most expensive city in Spain, you will be making a monthly salary of 1,000€ which will cover all your living expenses and then some. Since the cost of living (see our other post on this topic) in Spain is so much cheaper than, say, the United States, you can get by with a lot less and still live a very comfortable lifestyle. If you’re living in a smaller Spanish city or region, such as Badajoz, you will be making about 850€ a month which will be more than enough since the cost of living in less populated areas is significantly less expensive than Madrid, Barcelona or Valencia, the three most populated cities in Spain. In short, the salary you make as an ESL teacher is plenty and the pot is sweetened even more since there will be no taxes to pay on top of it! Every euro you make is a euro you keep. One of the best perks from teaching ESL in Spain is that the Spanish government will provide you with free health insurance all the while you’re there teaching. If for some reason you ever needed to go to the doctor because of a cold, or head to the hospital for something more serious, the Spanish government would take care of it and, best of all, foot the bill. If you have any specific questions about teaching ESL in Spain leave a comment below or send us an email at rvfspain@gmail.com and we’ll get back to you as soon as we can. For those of you who have already taught ESL in Spain before, what are some other exciting benefits or perks that you experienced? If you found this post to be helpful, take a look at our other posts as we discuss a variety of topics related to Spain. 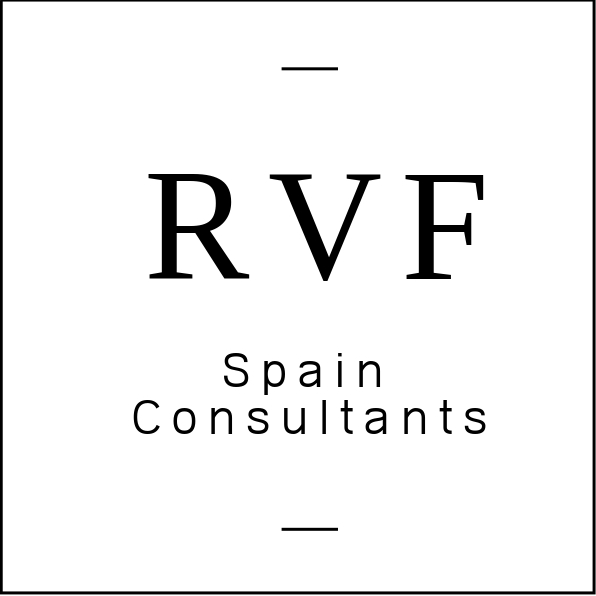 If you are interested in teaching and living in Spain for a year, send us an email at rvfspain@gmail.com letting us know so we can contact you today! For the most part, products, rent and services are cheaper in Spain than they are in, say, the United States (I’ll be using the U.S. as my country of comparison as it’s where I’m from but the numbers will be very similar for those of you who live in Canada or the UK!). But at the same time, the average Spanish wage is less than in the United States so in a way they almost balance out, percentage wise. But that’s not why we’re writing this post! So let’s get into it: what is the average monthly cost of living in Spain? Well, to answer that question, let’s define “living” as the necessary life basics such as food, rent, utilities, transportation, WiFi (it’s necessary) and basic “luxuries” such as eating out with friends, grabbing a drink, or going to the movies. All of that combined should give us a solid estimate of what the average cost of living in Spain (using numbers from 2018) for the average-Joe, like myself (Harrison from RVF Spain Consultants here). I’ll be answering this based on my own personal experiences after having lived here for several years now, and hopefully it can be helpful to any expat out there who is interested in coming to Spain to study, teach ESL, or vacation for a bit. I would say, easily a fourth, if not a third (depending on the city), of a Spaniard’s monthly paycheck goes towards paying rent. The 2018 average so far for a normal apartment in a normal area is 883€ per month (not including utilities), which is quite a lot if you take into consideration that the average monthly wage for the average Spanish worker for 2018 is 1,375€ per month. Of course, rent varies depending on where you live and the bigger the city the more expensive and less spacious your apartment will be and the vice versa if you live in a more rural area (en el campo) but based on those numbers the average Spanish worker for this year (2018) spends nearly 64% of their monthly paycheck on rent. That is a high percentage but don’t let that scare you, future ESL teacher. Rent might be high, especially in a bigger city like Madrid or Barcelona, but relatively inexpensive apartments and shared rooms are very possible to find with persistent searching and if you’re able to find a roommate to split the rent with, even better. Based on my own personal experience, I’ve lived in a total of three different locations in Madrid, Spain since I first moved here several years ago. When I first arrived to Madrid, I was sharing an apartment in Guzmán El Bueno in Madrid with three other guys and our monthly rent was nearly €1000 for the apartment because it was in an upscale part of the city. However, it wasn’t so bad since we could split it four ways and each paid roughly 250€ per month, not including utilities, for a really nice, well-furnished piso (apartment). Not bad! After living there for a year, I moved to Lavapiés, also in Madrid, where I graciously lived for free for a few months (thanks Philip!) as I was getting everything ready to get married. After our wedding, my wife Alejandra and I moved into a small house in Colonia Jardín, Madrid, which is about a 35 minute Metro ride from the city center, where we pay 550€ per month, utilities included. As in almost every city in the world, and Spanish cities are no exception, the most expensive apartments area closer to the city centers and the further out you go from there, the cheaper the rent becomes. For anyone wishing to study or teach English in Spain, this is good to know because it might be worth living half an hour, or even up to 45 minutes, outside of the touristy parts of town to save some serious money on your monthly rent and just take the bus or Metro into the city center whenever you wish to visit. My wife and I have saved thousands of Euros in rent because we live a little bit outside of the “thick of things” which we enjoy because we are closer to the countryside and away from the hustle and bustle. This is where the differences between the cost of things in Spain and the cost of things in the United States are really noticeable. Food in Spain, and by “food” I mean all the products you buy at the grocery store or local fruit and vegetable stand, are really, really cheap. At least compared to the United States. I should say, that your monthly food bill can still get really high if you are buying big-name products and processed foods. Those products still tend to be cheaper than in the United States, but I don’t want to give off the wrong impression that no matter what you buy and how much of it, it’ll only ever be a few dollars. Nope, definitely not true. What I mean by cheaper is that the “general” produce and other items you might buy such as bread, milk, meat, cereal, eggs, etc. are much cheaper in comparison to the same products from the U.S.
And 1lbs (500g) of chicken breast costs €3.48. Now, those are just the national averages so in some parts of Spain those same products will be less expensive and in other parts more expensive, but hopefully it can still communicate the point that food is really inexpensive! For example, my wife and I spend 150€ each month on all of the food we could possibly want, including produce, milk, bread, snacks, etc. Each week we go to the same fruit and vegetable stand by our home to buy our fresh produce and are able to fill up our entire fridge with the freshest apples and bananas, lettuce and tomatoes, cilantro and avocados, for 12-13€ each week. And that’s in Madrid, the most expensive city in Spain! In Spain, you can expect to pay roughly 165€ (2018 average, including WiFi) each month on utilities. That 165€ includes heating, electricity, water, gas and WiFi. The 2018 monthly average for WiFi, which has been a fairly stable number throughout the years, is 30€. My wife and I are fortunate enough to pay a flat rate with everything included, but when I was still teaching ESL and living in Guzmán El Bueno in Madrid, my roommates and I paid about 55€ each month for all of our utilities (about 220€ total), including WiFI. As I’m sure you’ve already heard and possibly experienced firsthand, public transportation in Europe is fantastic and inexpensive, and Spain is no exception. It is very convenient and easy to access public transportation all throughout Spain, with the most common types of transportation being the Metro (subway), bus and train. Most cities in Spain will have some type of public transportation pass that you can pay to load with credits for a months time which will allow you to access any Metro, bus and train line within a certain zone. Currently the 2018 monthly average for this type of pass is €49. What a great deal! That means, if you live in a city and don’t have a car, you can get around wherever you’d like to go, within that city, as many times as you’d like, for less than 50€ and without the hassle of having to find parking! In my own personal experience, I pay 20€ each month for unlimited access to Madrid’s public transportation and can easily get around anywhere I’d like to go with no hassle at all. We don’t have a car because having one would be unnecessary and too much of a hassle. Isn’t that incredible!? Before moving to Spain I never would have thought I’d ever say that having a car would anything but convenient but because all of our transportation needs are met here without a car, it wouldn’t make sense to own one. For more information on public transportation within Madrid, check out this earlier post on the Madrid public transportation pass called the Abono. I would say that the cost of going out with some friends to get a drink or go the movies is neither cheap nor expensive, but fairly priced in Spain. Going out to a Spanish bar for a beer and some patas bravas with friends is going to be about 7€ for your beer and portion of the tapa. Or going to the movies will be roughly 15€ for your movie ticket, popcorn and a drink, per person. In fact, last night I went to the movies in Madrid on a Wednesday, the cheapest day to see a movie in Spain, for only 5.60€. If you’re wanting to go grab a coffee at a relaxing Spanish café, read a book and nibble on a chocolate napolitana, you can expect to pay between 4-6€ depending on where you go. Or go to the supermarket and buy several sandwiches for a few euros only and take them to the nearest park for a peaceful lunch. In my opinion, those types of things in Spain are fairly priced for the experience you get out of it and the time you spend there. My wife and I spend about 30-40€ each month on fun things like going to the movies or getting a coffee, which balances out to usually some type of activity every couple of days. Have you or do you currently still live in Spain and have a personal experience to share? Leave a comment below!